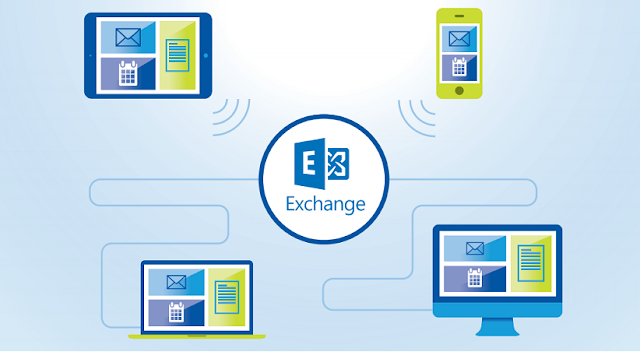 Exchange®Server although is a fault-tolerant platform but chances of database corruption exists if regular maintenance of the DB and its mailboxes is not done. The only way to extract data from corrupt Exchange database is to repair it. From a long time, Isinteg (command line utility) is being used by the administrators to test and fix issues that cause trouble in opening a mailbox or a particular mail message. To work with the Information Store Integrity Checker, the database that hosts the corrupt mailbox has to be dismounted from Server. This means to fix issues of a mailbox, entire database has to be brought offline. To deal with such problems, a new medium to repair single or multiple mailboxes of Exchange database were introduced by Microsoft. With "Repair Mailbox Request" that is a PowerShell cmdlet; it is possible to repair mailboxes of mounted database. For Repairing Multiple Mailboxes: The best part of using this PowerShell cmdlet is multiple mailboxes can be repaired concurrently. There is provision to exclude unwanted mailboxes from the database and for this is it important to combine the "RepairRequest" cmdlet with "GetMailbox" cmdlet. Search Folder: To detect and fix links that no longer exists in the mailbox. Aggregate Counts: Specifies number of folders that are not indicating correct values. Folder View: Views of incorrect content can be detected and fixed. Provisioned Folder: Provisioned folders directing to incorrect parent folder. If the repair process fails with Event ID 10049, then the probable reason could be improper syntax used or the mailbox is corrupt to an extent that could not be handled. You can also try Eseutil utility to mount Exchange Server 2010 Mailbox Database. If these technique doesn't mount EDB file then in this case, the alternate can be adopted to extract data from corrupt Exchange database .edb file. 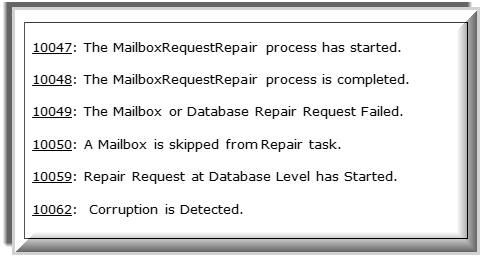 For example, third party EDB repair solutions can be a great help to restore mailboxes from corrupt EDB file.